Not long ago, I started to wonder if we’d ever see eggs here at the Wittekind homestead. After all, we hadn’t programmed a light this winter, so we got our last eggs from the girls around Thanksgiving. Mother Nature came through though, and with yet another sign that Spring is just around the corner, our girls started laying again! Ironically enough, we just purchased seven DOZEN eggs at Sam’s Club because my friends with whom we share eggs needed more. I think it’s pretty funny, actually. Maybe if we’d purchased that big box a little sooner, the girls would have started laying sooner out of fear of being replaced. They’re all good little hens though, and the appearance of eggs in the nesting boxes really raised my spirits here. 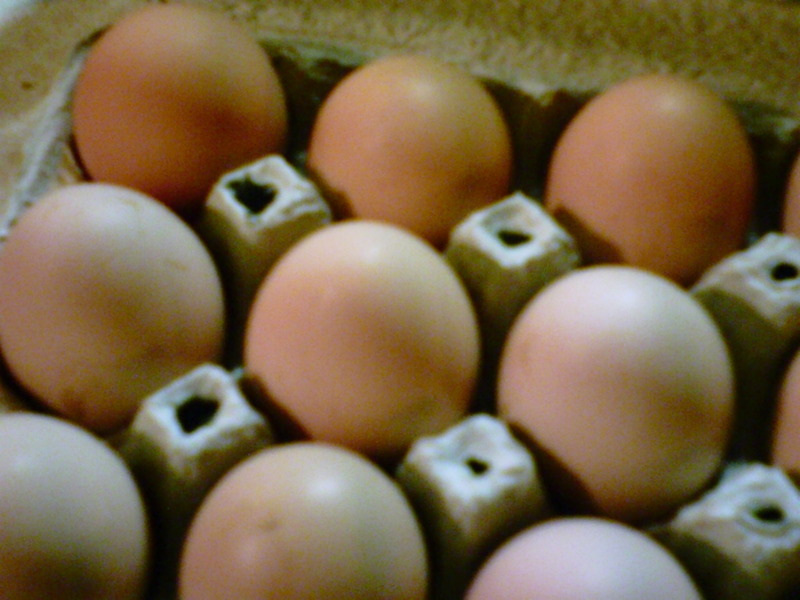 This entry was posted in Blogs, Homesteading and tagged eggs, livestock. Bookmark the permalink.